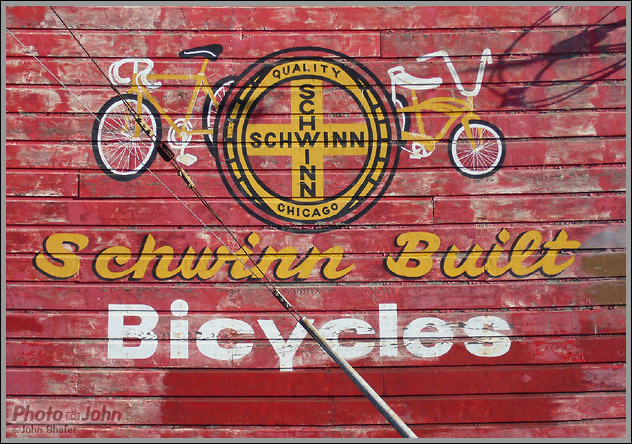 The ancient Schwinn mural on the side of the old Faber's Cyclery building, in San Jose, California. This photo was taken for our Panasonic Lumix DMC-FX9 digital camera review. It's unretouched and I think the color and exposure look great. It was taken in Program mode at -1/3 exposure compensation to increase saturation a bit and ensure that the highlights didn't get blown out. Captain of the Ship So sad that it's gone. I wish I'd made an effort to take more pictures there.